YOU DREAM IT, WE CAN DESIGN IT! 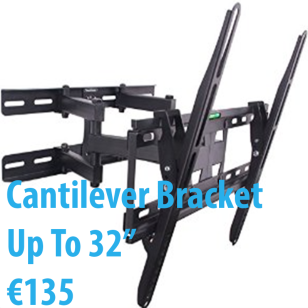 OUR EXPERT DUBLIN BASED TV INSTALLERS CAN HAVE YOUR TV MOUNTED AND SET UP WITHIN 1 HOUR. We are part of the Infinity electrical group, available on-call to also repair your broken storage heating at www.storage-heater.ie, install a new shower or replace a faulty pump at showerandpumps.ie or help you with any other plumbing or electrical issues. 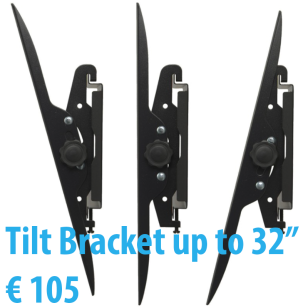 Infinity electrical group call us today on 083-1625009 or 01-4458543 WE ARE 100% IRISH OWNED COMPANY. 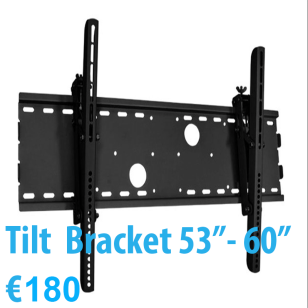 At www.tvmounting.ie we offer a professional Plasma, LCD LED TV mounting installation service in all areas of Dublin. 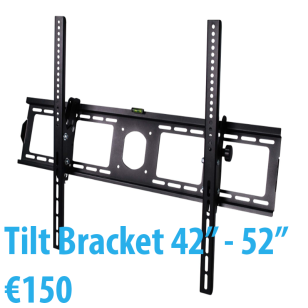 Our specialists can mount any size or brand of flat screen television to almost any wall or surface. 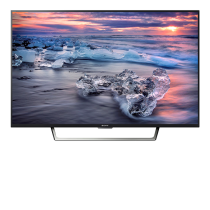 Not only does a wall mounted Smart 4K HDR TV Installation look impressive, it also has the benefit of freeing up space within the room and we can even move and hide your electrical socket behind your newly mounted TV. 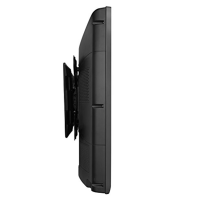 Our technicians have years of experience in wall mounting TV’s and you can be assured that your TV will be safe, secure and positioned correctly where ever you choose to have it installed, including above Fireplaces and on Chimney Breasts and even in the bathroom. 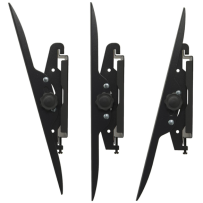 All of our mounting experts are also fully qualified RECI certified and insured electricians. Call us today for a hassle free quote. 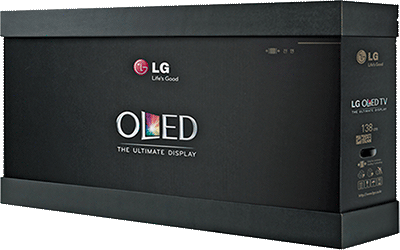 An LCD TV is a flat panel television that utilizes the same basic Liquid Crystal Display technology that has been in use for years in mobile phones, Gameboys, and computer monitored TVs are getting phased out. 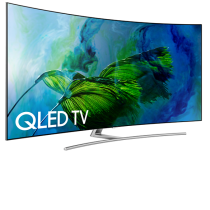 An LED TV is actually an LCD display with a back light that's made of LEDs and (organic light-emitting diode) O LED's emit light they do not require a back light and so are thinner and more efficient than LCD TVs. 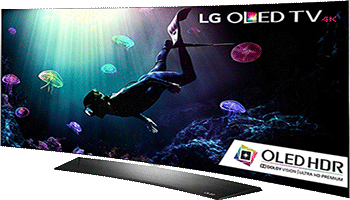 An OLED TV is an organic light-emitting diode (OLED) and 4K, which are also known as Ultra HD, refers to a high resolution that's four times the 1,920 x 1,080 pixels found in your full HD TV these TVS have much better color, back light and better side angle viewing. 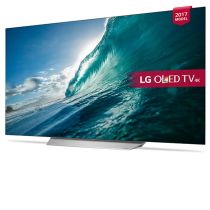 A smart TV allows you enjoy apps, surf the web and stream Internet videos like You Tube and Netflix all from the comfort of your sofa. 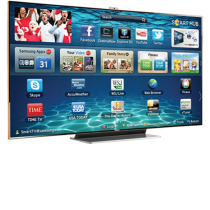 Most new televisions are now smart TVs regardless of what type of TV brand it is. 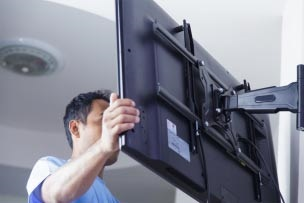 Our technicians at TV mounting keep high-definition multimedia interface (HDMI) cables stocked at all times, so you won't have to go to the store to buy a cable. 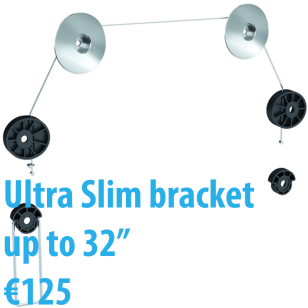 We stock all types of cable from ultra 4k to slim line HDMI cables and 1m to 10m cables so we can provide our customers with the exact length they need. 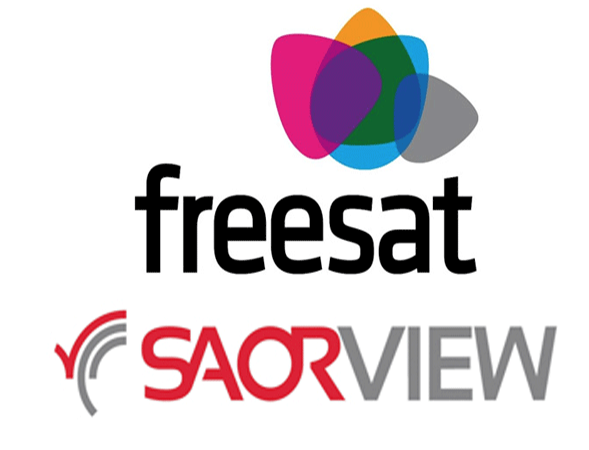 We also have all the cables to extend and move your Sky or Virgin media boxes! All of our installers are fully qualified, RECI certified electricians. we can also put sockets behind the TV. 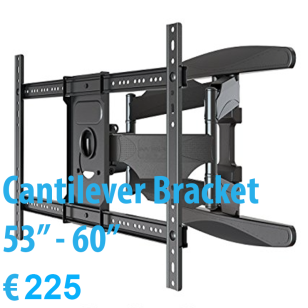 Our team of technicians are highly skilled, experienced and qualified to perform your TV Wall Mounting Installation project and as with all Www.tvmounting.ie projects your satisfaction is guaranteed. 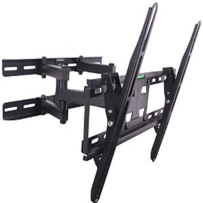 Our team will have all of the latest tools and everything needed to make your TV mount installation project look as neat and professional as possible. 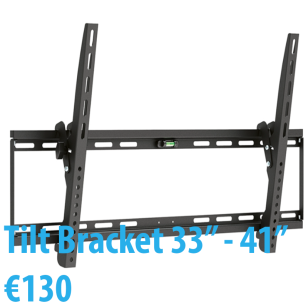 With LCD, Plasma and LED televisions getting thinner and larger, getting your TV wall mounted is not as straightforward as just hanging them. 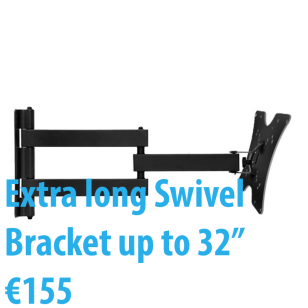 When you call www.tvmounting.ie we will send one of our specialists to help you select the most appropriate bracket for you needs. Our TV installer will go through what you would like to do with the associated cables such as hiding them behind walls and out behind brackets, meaning an exceptionally neat and tidy look to the custom installation. 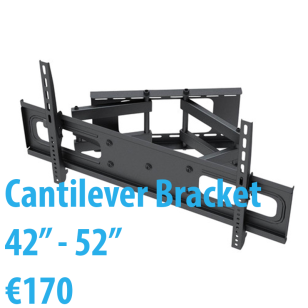 Our engineers will be able to consult with you on site regarding the placement of the TV and type of brackets available to you. We will have your television hung and set up in under two hours. 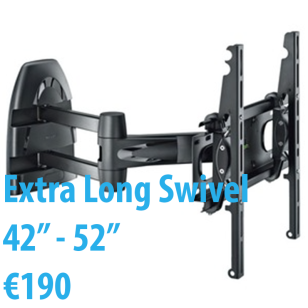 For wall mounting LED, LCD, 3D and Plasma televisions15" - 40" flat-panel TVs weighing up to 40kg. We are part of the Infinity Electrical Group, a Dublin 14 based Professional Electrical Contractor. 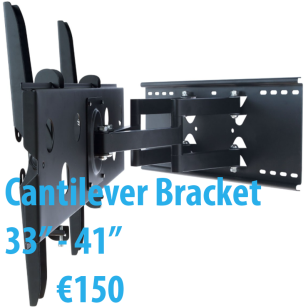 We have quick response 24hr emergency electricians on call that are highly trained in all aspects of domestic and commercial electrical installations and repairs... want to achieve that modern, cutting-edge look by mounting your TV on the wall? 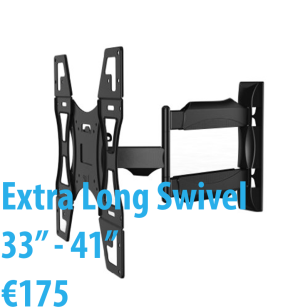 leave behind your old TV and upgrade to stylish modern wall mounted elegance at www.tvmounting.ie. 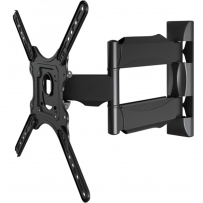 Our certified, RECI registered and fully insured technicians can help you identify the best wall mounts solutions for your home and we ensure safe and secure TV installation.